Driver iQ is a Consumer Reporting Agency who builds and provides background screening solutions specifically for the unique needs of the ever-changing trucking industry. Because the Over-the-Road trucking companies have the highest turnover rates averaging at least 95% turnover for most carriers. Driver iQ brings a strong understanding of the industry’s unique and ever-changing needs. With the need to place more drivers in trucks than ever, the industry looks for a fast and affordable solution to meet regulations when hiring a driver. That is where Driver iQ comes in to play. We offer excellent customer service, cost reductions, service improvements, creation of innovative solutions and analytical tools in partnership with our carrier customers. Driver iQ is a NAPBS (National Association of Professional Background Screeners) accredited full-service background screening company adhering to FMCSA (Federal Motor Carrier Safety Association) and FCRA (Fair Credit Reporting Act) regulations. For a list of our products and services, click here. Founded in 1977, Cisive has been in the background screening business for almost 40 years. Driver iQ/Cisive has distinguished itself in four core areas: Innovation, Accuracy, Compliance, and Timely Service. Driver iQ/Cisive are 1 of only 40 background screening companies (out of over 3,000) accredited by the National Association of Professional Background Screeners. Driver iQ/Cisive has never had a complaint filed with the Federal Trade Commission, which enforces the Fair Credit and Reporting Act. Driver iQ/Cisive provides innovative business information services to a diverse and rapidly expanding client base. The business philosophy of Driver iQ/Cisive is to select a single line of service and concentrate all of its efforts on that particular area, to achieve the highest level of expertise and efficiency possible through timely service, cost effectiveness, and quality. Through this concept of specialization, Cisive’s goals are to provide the client with unsurpassed value-added service and to acquire a leadership position in each of the business sectors it serves. As the Co-President of Driver iQ, Billie Lee has over three decades of leadership experience directly gained in the trucking industry. Billie, along with her business partner, Lana Batts, launched Driver iQ in 2010. From 2004 to 2008, Ms. Lee was the President of the Transportation Services Division of First Advantage, where she was brought in to create and develop the organization’s vertical transportation market, and apply her strategic talents to deliver a platform of services to support the trucking industry, including driver screening and fleet management. Prior to joining First Advantage, Ms. Lee spent a long, highly successful career at USIS/DAC Services. In 1998, Billie was appointed President of DAC Services, a division of Total Information Services Inc., and served as division president until it was acquired by US Investigative Services (USIS) in 2002. Following the acquisition, Ms. Lee continued as Senior Vice President of Operations for the USIS Commercial Services division until 2004. Ms. Lee has been involved with numerous industry-related human resources, safety and transportation associations, serving as the FCRA Task Force committee chair for the Society for Human Resource Management, and as a board member for the Association of Independent Information Professionals, the American Trucking Association, and the Truckload Carrier Association. As a recognized screening expert, she has spoken on related topics and participates on panels for industry groups. Billie Lee studied at the University of Tulsa, and the University of Oklahoma. Lana R. Batts has over three decades of experience in the trucking industry. She is the co-President of Driver iQ. Prior to forming Driver iQ, Ms. Batts was the managing partner of Transport Capital Partners, LLC., a mergers and acquisition firm that specializes in the trucking industry from 2001 to 2010. She was the President of the Truckload Carriers Association from 1994-2000, where she led the successful turnaround of the Professional Truck Driver Institute and established the Truckload Academy. She was the Senior Vice President for the Government Affairs for the American Trucking Association from 1974-1992, and served as the President and CEO of the American Financial Services Association from 1992-1994. Ms. Batts is currently on the Board of Directors of Brown Trucking Co. and the Transportation Costing Group. She has also served on the Boards of Mullen Transportation (a publicly traded Canadian corporation), PeopleNet Communications, and served as president of the Transportation Research Forum. Ms. Batts has been the proud recipient of the American Trucking Association’s highest honor, the S. Earl Dove Award in 1994, was named Woman of the Year by the Women’s Transportation Seminar in 1997, and received the Lee Crittenden award from the Professional Truck Driver Institute for her contributions to the organization’s goals in 2006. She grew up in a trucking family in Billings, Montana, where her father owned a livestock trucking company. She graduated from the University of Montana with a degree in Political Science and History and holds an MA (with honors) from the University of Miami (FL) in Politics and Public Affairs. She has done doctoral work at the University of Maryland in transportation. Todd Hensley joined Driver iQ in May 2012 as the Director of Business Development, and was promoted to Vice President in 2014. He brings over 30 years of sales and marketing experience to the team, with extensive focus on employment screening in the transportation industry while serving 10 years as VP of Sales and Marketing at DAC Services/USIS. Todd has also served as an independent consultant for sales and marketing and negotiation of partnership agreements, affinity arrangements, and data acquisition. Mr. Hensley holds an MBA from Oklahoma City University in International Business, with graduate studies at Richmond College, London, England. He also has a Bachelor’s degree from the University of Arkansas, Fayetteville. Todd’s career has included senior management positions with organizations such as Lexis/Nexis, US Investigation Services/DAC, First Advantage Corporation, IBM, and CrossCom National. While serving as VP of Sales and Marketing of CrossCom National, Todd developed and implemented the international expansion of sales operations into the UK. Throughout his career, Todd has specialized in increasing revenue and market share through partnerships, channel sales, new product offerings and expansion into additional markets, while building and managing sales teams on a national and international level. Todd also brings significant insight into business process improvement, acquisitions, restructuring, and corporate development. Todd has lived in Tulsa, OK since 1989, where he has served on the Board of Directors of Big Brothers of Oklahoma and been active in Junior Achievement. 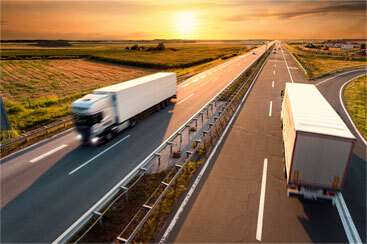 Driver iQ supports the trucking industry by maintaining memberships in the industry’s leading organizations. All Driver iQ employees are NAPBS Basic Certified. Lana Batts serves on the Board of Directors of the Truckload Carriers Association. 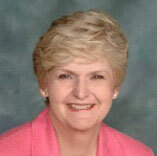 Billie Lee serves on the ATA’s Labor and Regulatory Policy Committee. Both are past directors of the Women in Trucking. Driver iQ is dedicated to providing our customers with the most efficient and effective tools to conduct their operations. As a result, we have partnered with the industry’s leading Applicant Tracking Systems so that carriers can maximize their recruiting efforts and minimize the time spent entering data. I would like to receive promotions and industry updates from Driver iQ.